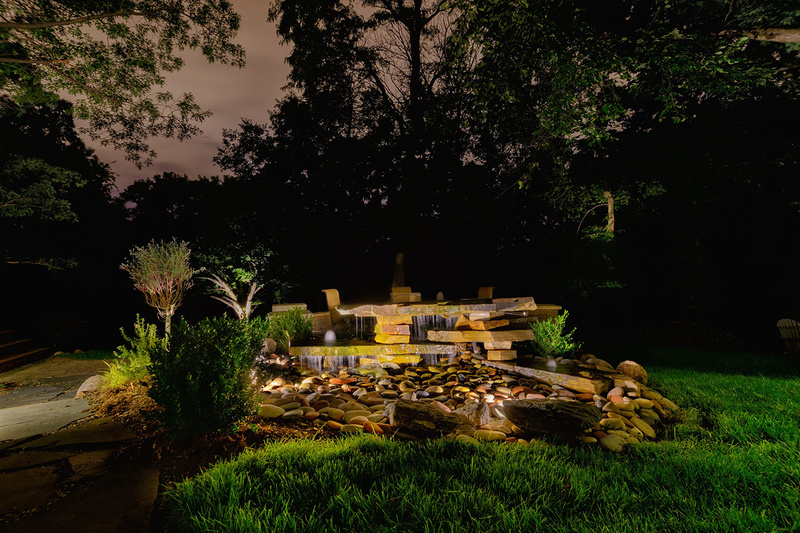 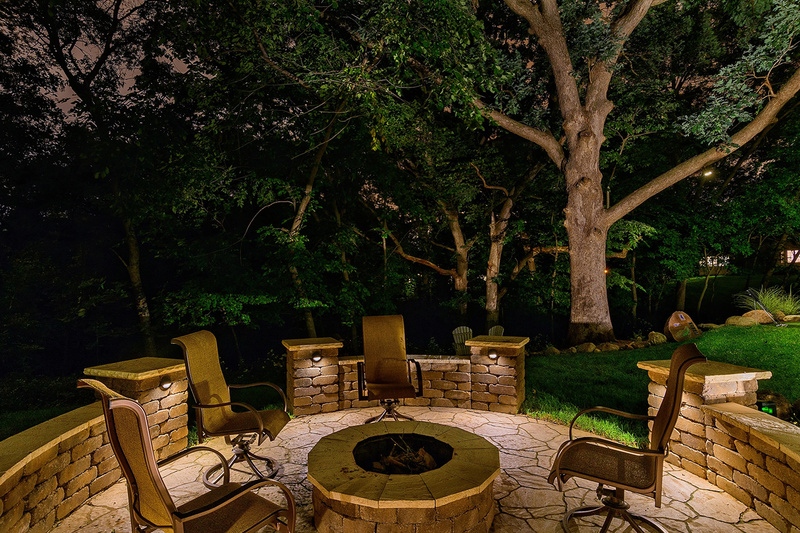 In this lighting design, the home is the center focal point of the lighting scene. 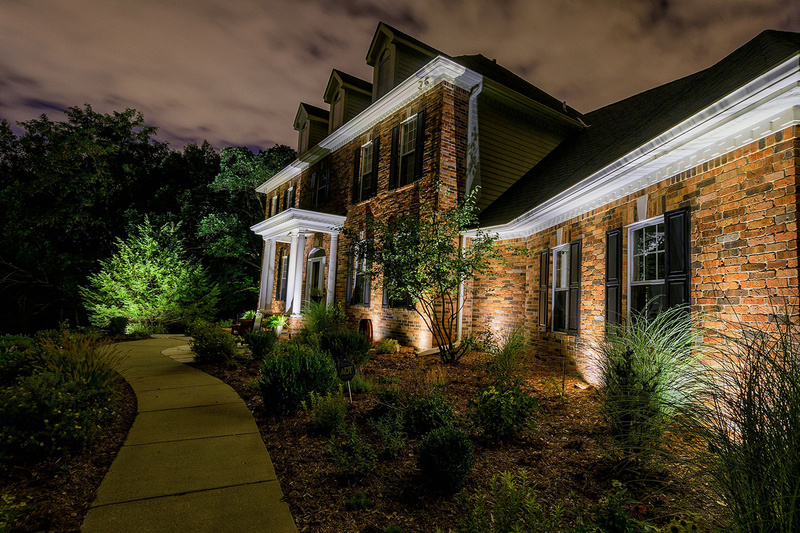 Architectural up lighting is placed strategically to show off the varied texture of the brick facing. 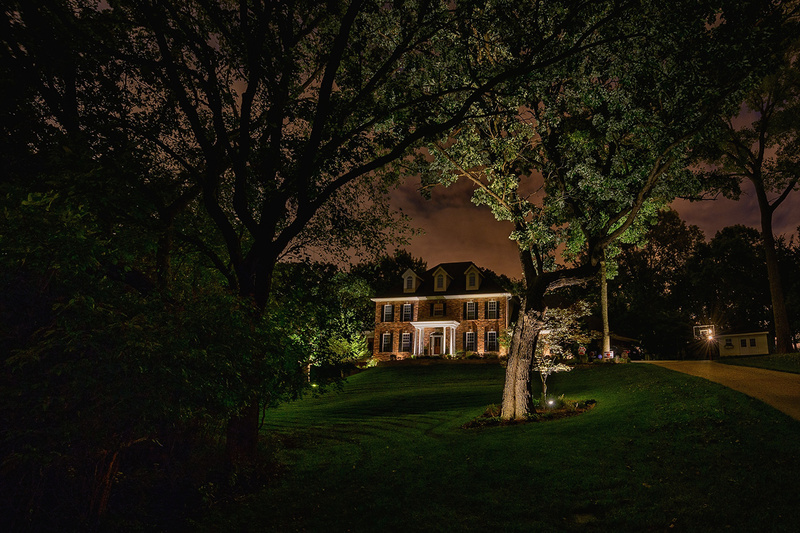 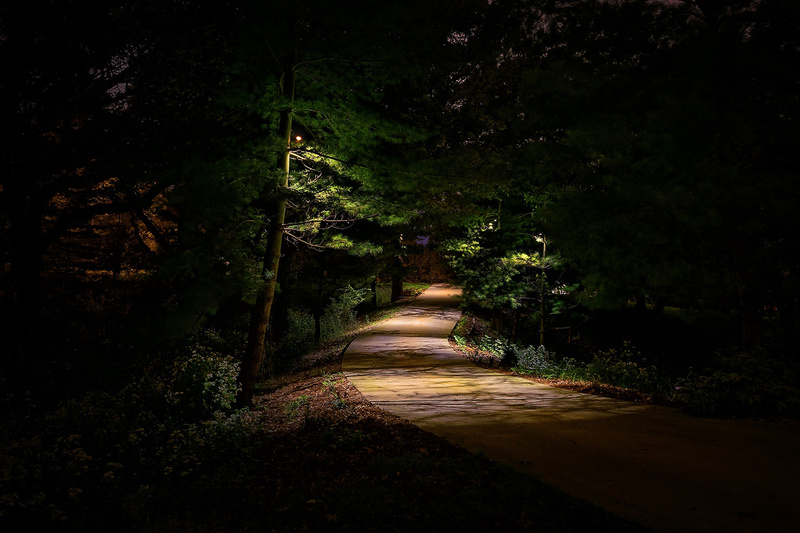 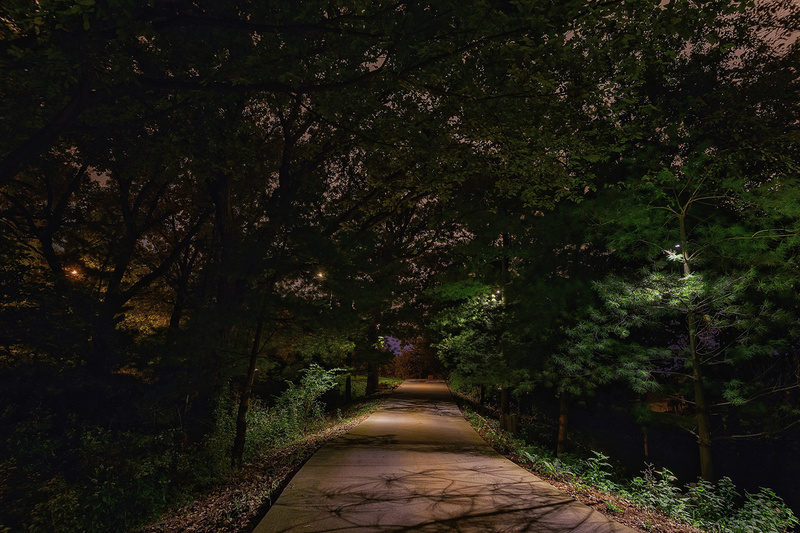 Several of the large trees between the street and the house were illuminated to create an inviting foreground as you make your way up to the home. 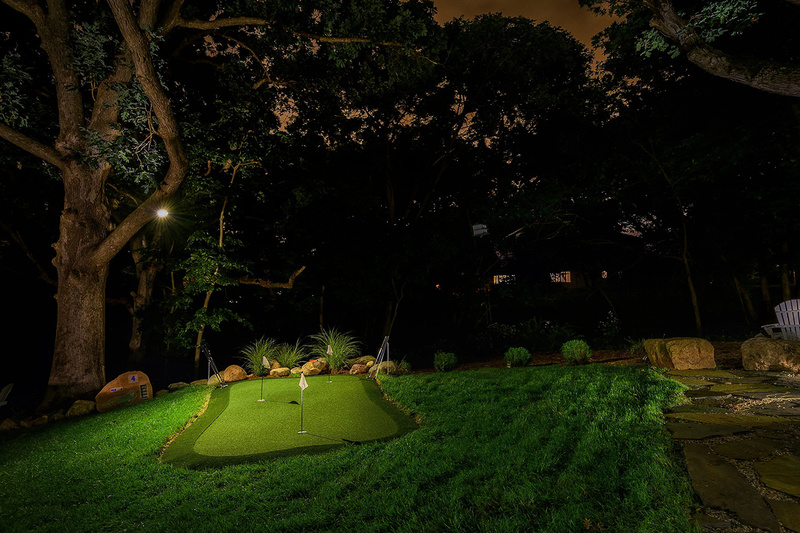 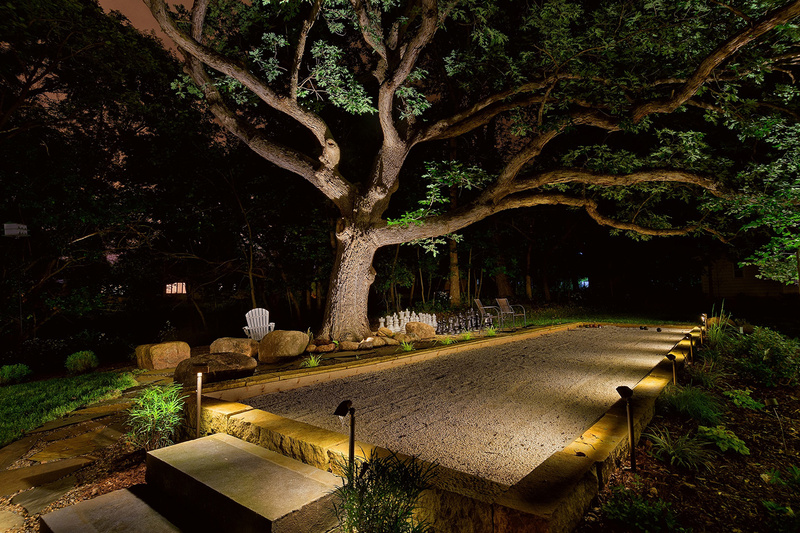 In the back, down lights placed high up in the trees as well as small, ground- mounted wash lights, make a bocce ball court and a putting green a place to gather after dark.